DFW strives to "Produce Solutions" for our customers in solving issues that arise in the marketplace. DFW's Featured Products will be new innovative products or updated models with the latest features offered. For more info on any Featured Product, contact us or your local DFW representative and tell them you are interested in our 'Featured Product'. 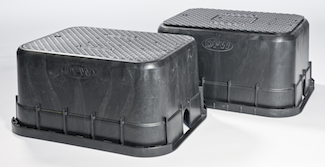 DFW introduces the new 12" Diameter "A" Series AMR Lid. 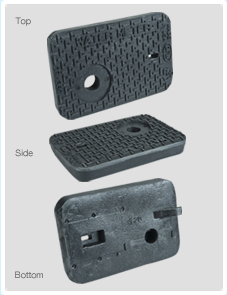 Designed to fit existing cast iron frames noted as A, C, and X styles. Available with either a full brass worm lock or a bronze and plastic worm lock. 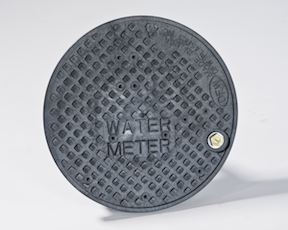 DFW introduces the new 12" Jumbo "A" Series meter box. This box is constructed with additional ribbing for improved wall strength. 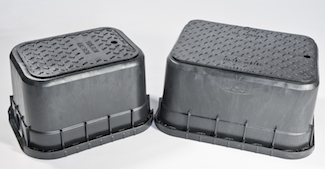 These boxes use the standard D1500 series lid. DFW introduces the new 18" rectangle "A" Series meter box. This box uses the patented overlapping DFW1200 series lid. The DFW1800 may be extended to 24” depth by using the DFW600 extension. 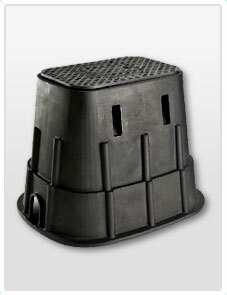 A special blended polymer 'E' lid that provides Anti-Float™ properties to help prevent the lid from floating off the meter box during heavy rains or flooding. 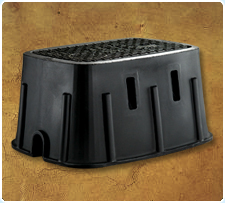 DFW's popular 'C' Series now offered with flared sidewalls to provide more working room in the bottom of the box. This style 'C' Series also uses the patented 'E' Lids. Available sizes: 36F, 37F, 39F, and 1730F.